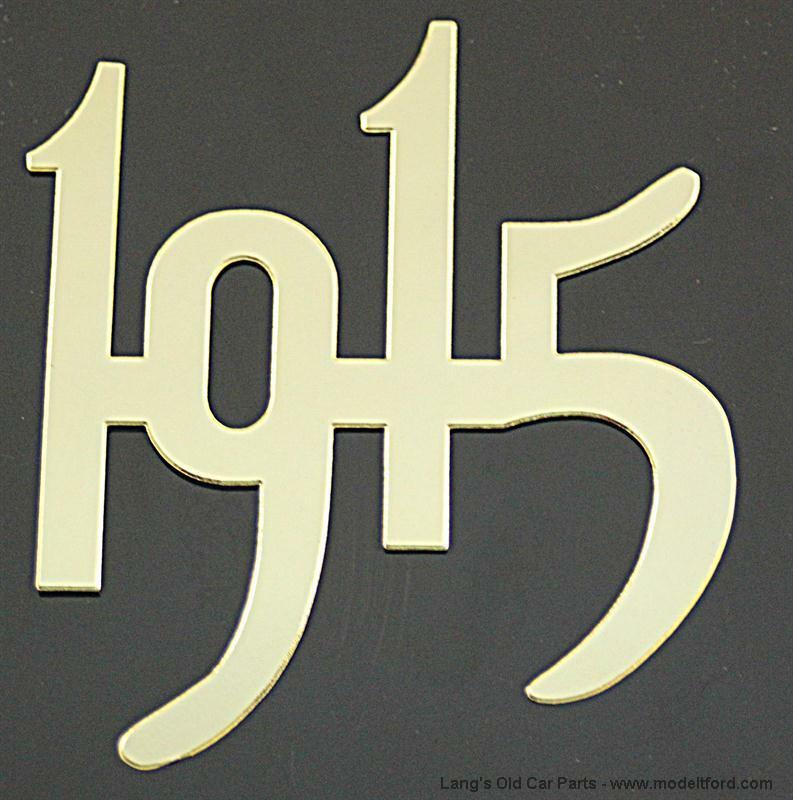 1915 Gold plated steel number for radiator, 2" high. 1915 Year of manufacture scripts for your radiator. Gold plated steel number, 2”high. No polishing needed, just fasten to radiator mounting bar with brass wire.